I have a json coming from api and it has a datetime as 2019-01-01T00:00:00-05:00 I am displaying this in lightning component as below . But I want to remove the time and display the date as 2019-01-01. Please let me know how I can achieve this. I have created a visual flow using the cloud flow designer. Now inside a I have text as "Accumulators" which I want to display as an hyperlink. I want to navigate to an custom tab in my lightning component when I click "Accumalators". 2. I have text as "Appeal" and I will make this as hyperlink, then when I click Appeal the flow should end. Please let me know with example how I can achieve my functionality? I am writing salesforce certified admin tomorrow. 1. What happens if some records do NOT meet the data validation criteria when importing data? A. Import process fails only for the records with invalid data. B. Import process ignores the data validation criteria. C. Import process requires user authorizaton to import the invalid records. D. Import process aborts when it encounters the first invalid record. a. go to the profile of each user and check the box for Manage public templates. b. go to the email templates and manually share each with the specific users. c. go to the user record and check the box for Manager Public templates. d. go to the email templates and manually share each with the profile of the specific users. layouts, as well as adding this data to reports. field on accounts , contacts amd opportunities. team to have to change then process at all. custom field for the new stages. security to control which teams see which fields. that new sales team's values are at the bottom of the picklist. what are three considerations for this purpose? picklist value list or be active values. adds the value to all existing record type. of a new Record type. a. Check the "Send PDF" box on the approval process setup. b. Hire a consulting firm to develop a document signing framework. c. Install an app from the appexchange. d. Utilize the salesforce autosign flow. a. associate the content delivery with the salesforce record. b. password protect content deliveries that contain sensitive data. c. Customize the URL assigned to the content delivery. d. encrypt certain content delivery files. 8. Universal containers has purchased 25 new salesforce licences. time on the Add Multiple Users page? d. a maximum of 25 users. Pls correct the answers if wrong. I have a lightning data service . I have shown the complete code I have with me. I have Status is a field defined in the case object and case Id is generated during the init handler. I tried doing like this also. I have a custom field called status__c in the case object. This field status__c is a picklist with values like "In-Progress", "Closed" etc. My requirement is to use a lightning data service to fetch the value of this field in the donit event of my lightning component. Pleae let me know how I can achieve this. this return a string like "Nebuent Inh 300 mg"
I want to remove the two extra white spaces in the above. Please let me know urgent how to do. any body having latest winter19 dumps for salesforce certified administrator? In my lightning component I am having like this. I want the default value of the attribute in the controller.js file of the component for further processing. A working code would be greatly helpful. I have given the json response as follows. what I am not understanding is how to get the "claimType" value into an aura:attribute for further processing. I need the value of "claimType" i.e Pharmacy into an aura:attribute for further processing. Please let me know how to achieve this at the very earliest. My requirement is to display contact records so for every contact record displayed I need a radio button beside it. I have done like so far. I am able to display radio button for every contact name but I am able to select multiple records. I need to fire the change event when I select one contact record. also other than <ui:radiobutton> what other component can we use? I am trying to understand how we can put an vf page inside an lightning component and send message from lightning component to vf page. 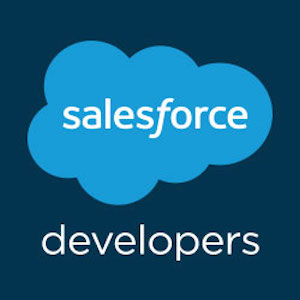 I am using the website https://developer.salesforce.com/blogs/developer-relations/2017/01/lightning-visualforce-communication.html for reference. In my current project a similar scenario has been implemented where the vf page embedded inside the lightning component makes an api call. so I am breaking down things and trying to understand. I think locker service is coming into the picture but how to resolve this. My requirement is to display Account and its related contacts using accordion and accordion section. I am able to display account and when I expand account it will show Rating and Phone but Under each account I want a separate accordion to show contact firstname and contact lastname. I am tring to get my basics clear while making an api call from lightning application. I am trying to understand the basic concept of Aura.Action in lightning but stuck with an error. The error is in the statement " inputChildTitle.set("v.disabled",false);"
Can any one please let me know? I am using google crome browser and performing inline editing on lightning datatable. I am able to display the field values but when I edit Opportunity Name and click save its not saving. I just started working on lightning datatable. The code is working but StageName , closedate and amount values are not displayed. I want to load the record when I click any opportunity record in lightning but no record values are showing up. I created a new action and added the button to the page layout of opportunity object. Now when I click any opportuntity record then I just a poup appears but I don't see any values of the selected record. so when the user checks a record then I need the ID of that selected record in controller for further processing. I am using actionsupport for this but I am unable to get the ID of the selected record in controller. Please let me know where I am going wrong and if there is a better way of doing this. I am testing my visualforce & apex coding skills . I have implemented a extension class with standard controller to mimic the functionality of SAVE , SAVE&NEW and QUICKSAVE. a) when I click SAVE&NEW button is it possible to redirect to the same visualforce page, so the enduser can enter the input values again. I have a parent visualforce page which has 4 fields approver_1 , approver_2 , approver_3 and approver_4 which is lookup to user. When I click this button it opens as a popup(visualforce page), I have shown the code below where I will enter the field values. This popup (visualforce page) has save and cancel buttons. When I click save button it saves the values to the parent, I mean the parent page should get refreshed with the values from the popup. a) when user click save the popup page should close and the parent page should be refreshed with the updated field values. b) when I click cancel button the page should close. I have worked on a code which binds the values into a picklist as shown below , also I attached a screen shot to show my requirement. My requirement is I need to access values from 1 to 5 , then do some processing , then values from 6 to 11 then do some other logic. so I need to split the custom setting values into 2 parts i. 1 to 5 and 6 to 11. Please let me know how I can proceed further. My understanding of application event is if two components not related to each then we can use applicaiton event to pass data. I have done a code but I am unable to pass data. I checked using debugger but value is not comoing into the child attribute from the parent. Please let me know where I go wrong. I am working on @Future methods and quueueable apex. we can monitor queueable job from apex jobs, get JOB ID and check the status of queueable apex job using the object AsynApexJob from workbench. a] My question is can we do all of the above for a method marked with @future? b] can we use database.stateful with queueable apex? c] can we schedule a queueable job by specifying a cron string ? c] what is flexipage queue and how does it work.. Please elaborate in details and I request forum memebers to be specific.